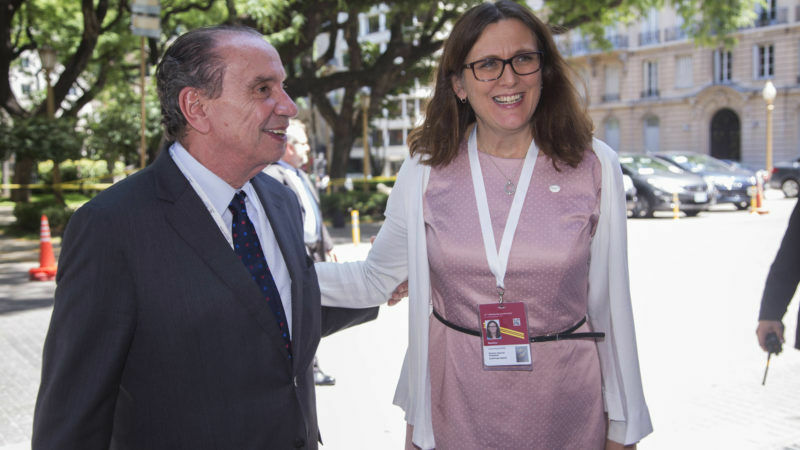 The risk that the EU-Mercosur trade talks get derailed yet again is high, writes Iana Dreyer, spelling out the warning signs. Iana Dreyer is the editor-in-chief of Borderlex.eu, a news website dedicated to EU trade and investment policy. Yet, the petering out of the EU-Mercosur free trade negotiation in Buenos Aires on the sidelines of the World Trade Organization’s ministerial meeting this week is not a good omen. France is the home to both an embattled beef industry and the heart of the sugar-beet growing area in the EU. Bad luck for the Brazilians. Emmanuel Macron’s France might be more market-friendly at home but is becoming perhaps even less open to more trade liberalisation than before. Malmström and her team have a track record of underestimating the difficulties in reaching agreements with large, difficult or complex trade partners. She was optimistic until the very last minute that a deal could be reached with the Russians in late 2015 on the Ukraine DCFTA, although it was pretty clear one cannot negotiate with the Russians on Ukraine trade issues. Cool. By 2037 there will not be an EU.